Religion « THE BRYCE IS RIGHT! As many of you know, I have written on a wide variety of subjects over the years, everything from management and technology, to history, politics and life in general. Some of it is instructional, some political, some humorous, and others are simply observations of life. I have also written considerably on morality over the years, but little on organized religion, least of all Jesus Christ. I find people today are hesitant to discuss Jesus, and Christianity in general, as it has become politically incorrect to do so. There are a lot of Christians who tend to treat their religion very privately, and resist discussing it publicly. I wish to change this by stating my own beliefs. First, let me openly say, I believe in Jesus and consider myself a proud Christian. I am familiar with many passages in the Bible, but I cannot say I have read it cover-to-cover. Yet, I remember the lessons I learned in church and various readings over the years. Do I believe Jesus existed? Yes, of course, there is certainly a lot of evidence to indicate his existence. Was he the son of God? Actually, I believe we’re all the sons and daughters of God. The biggest difference was that Jesus possessed the word of God. His lessons of love, morality and spirituality are well known and shaped the Christian sense of right and wrong for many centuries. For example, I marvel at the resiliency of the human spirit, our ability to feel empathy and help others, to seek pride in workmanship and be industrious. From this, I have learned to appreciate the wonders of Mother Nature and find its bounty inspiring; everything from the beauty of a lone flower, to crops, to the majesty of wildlife and our physical surroundings. It is all beautiful and humbling to witness. However, it is our ability to think and master complex problems in order to improve the human condition I find particularly rewarding. As a Christian I am cognizant of the immortal part within us that shall survive the grave and which shall never die. I firmly believe this and see evidence all around us. For example, I remember the gentle humor of my maternal great-grandfather and the gentleness of his wife (my great-grandmother). I learned from my maternal grandmother the necessity of keeping one’s mind sharp and busy, the work ethic of my paternal grandfather and the need to treat others fairly from my other grandmother. I embody these life lessons handed down to me through my family, as well as the many people I have encountered in my journey through life. Through me, their lives live on. I only hope I can competently pass these lessons on to my heirs and acquaintances. I recognize we are imperfect creatures and susceptible to evil, which must be combated, and that religion has been the cause of death and destruction over the millenniums, such as the Crusades, the Inquisition, and today’s confrontation with Muslim extremists. Such chapters in our history reminds us of our imperfections. Fortunately, Jesus taught us the necessity for atoning for our sins and the power of forgiveness. 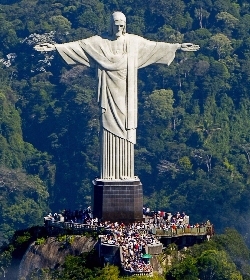 Christianity is the world’s largest religious group and can be found around the world. It has touched the lives of literally billions of people and played a substantial role in the development of Western civilization. The United States would probably never have been founded had it not been for religious persecution. Here, we established a safe haven for people to practice their religion of choice, be it the many Christian religious sects, Judaism, Islam, Buddhism, and many others. Because the early settlers were European, this explains why Christianity played an influential role in our country’s founding and development. I am truly bewildered as to why Christians are scoffed at today. We have accomplished a lot even though we are certainly not perfect, after all we’re only human, but I suspect Christians are ridiculed as we are perceived as some sort of political and religious threat. I practice Christianity, others may follow another path, which doesn’t bother me the slightest bit. However, I deeply resent it when people look down their noses at my religion and try to portray it as radical, dangerous, and leads to such things as racism and injustice. I am sorry but I simply refuse to accept it. Such discrepancies lies at the very heart of the teachings of Jesus, to love and accept. Atheists and agnostics would have us believe religion is meaningless and anyone practicing it is not intelligent to know better. I, for one, am not so naive as to believe that the heaven and Earth were all created by accident. There must be a reason for us to exist. As for me, I like to believe it is to make the world a better place to live and for us to evolve as a species, to seek perfection for the glory of God. I am certainly not ashamed of my religion and am unapologetic for being a Christian. I am also not so naive to believe that in the immensity of the universe, we are the only beings possessing the gift of life and thought, who must also be experiencing the same travails we are, be it ahead of our development or behind us. The prospect of meeting such beings in the future, to share information and prosperity, is intriguing. All of this though, begins with a sense of religion, and in the eyes of Christians, the lessons of Jesus Christ. From my perspective, we were given the rare gift of someone to show us the way to grow and develop. Yes, I believe in Jesus and I see no reason not to publicly declare my devotion, either here in print or in person. Actually, I believe we need more people to do so, and not be afraid of skeptics and political correctness. No, I will not whisper His name or hide my faith as the Jews were forced to hide their religion in Nazi Germany. By not publicly declaring our support for our beliefs, the lessons of Jesus are weakened and face erosion. As an aside, over the years I have heard many different songs pertaining to Christ, be it Christmas Carols, Gregorian chants, and other songs from popular music. The one I particularly enjoy is “Oh Happy Day” by the Edwin Hawkins Singers. I remember when this first came out in the late 1960’s. I have always found it to be a positive spiritual message confirming our belief in Jesus. It’s just as applicable today as it was back then. I recently had a friend confide in me that he had found Jesus. Frankly, I didn’t know he was missing. Religion is always a touchy subject, but in the Christian world we still find people who have sudden epiphanies about their faith. I think these are the same people who slept through Sunday School years ago and are just now catching up. Not long ago, I went back for a high school class’ reunion. I hadn’t seen most of the people in quite some time. Those that were jerks in high school were still jerks as grownups. The people who were “wallflowers” in high school actually turned out quite well. 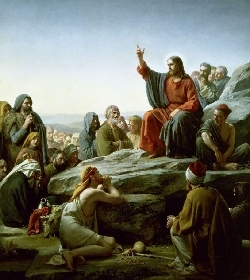 However, what I found particularly interesting were the people who were heavy into alcohol and drugs or had promiscuous reputations in high school had all found Jesus. Some wore prominent crosses around their neck and it was kind of awkward trying to talk to them. When you asked them about what they were doing with their lives, they would inevitably tell you how Jesus had saved them. I never did find out anything else about them. I even had one guy quote me chapter and verse on the evils in the world today. I thanked him for his words but said I needed some more ice for my drink. I guess the secret to finding Jesus is that you must have screwed up pretty bad somewhere along the line and, in desperation, you turn to the Bible where you have your revelation. What I find disconcerting though is that these people now feel they are authorities of the faith and unless you share their zealousness you are perceived as a heretic. I fail to see how those of us that didn’t screw-up, attended church, and practiced our faith accordingly were somehow not on a par with those who just caught on. I don’t want to be too harsh on my friends who find Jesus though. After all, I would rather have them study the Bible than continue down a road of self-destruction. But guys please remember this, just because you’ve found the faith, doesn’t mean the rest of us have been napping. ARE WE BECOMING A GODLESS COUNTRY? – What the “separation of church and state” really means. For some reason, Americans believe there is a legal requirement to separate church and state in the US Constitution. It is now commonly believed organized religion has no business in the workings of the state. The reality is, there is no such stipulation whatsoever in the Constitution. There is only a couple of references to religion in our governing documents. The first is in Article 6 of the Constitution whereby “…no religious Test shall ever be required as a Qualification to any Office or public Trust under the United States.” The second reference is in Amendment One of the Bill of Rights whereby, “Congress shall make no law respecting an establishment of religion, or prohibiting the free exercise thereof;…” I cannot speak for the governing documents of the various states and territories, but as far as the Constitution is concerned, that is all there is pertaining to religion. By this letter to the Baptists, Jefferson meant that the United States would not establish a national church. This letter greatly influenced Supreme Court decisions. Keep in mind, Jefferson is speaking on another matter altogether and he is writing as president, not as a justice of the Supreme Court who should rightfully interpret the separation issue. However, for some strange reason, the letter was used to define the separation issue. In Everson vs. Board of Education in 1947, the Supreme Court used a portion of the letter (eight words only) and interpreted it to mean, “The First Amendment has erected ‘a wall of separation between church and state.’ That wall must be kept high and impregnable.” How they came to this conclusion mystifies Constitutional scholars to this day. It is interesting the Supreme Court based its conclusion on an interpretation of a letter, not the Constitution itself. Not long ago we heard about a movement by atheists to remove Gideon Bibles from Navy lodges. These Bibles were provided for the comfort of sailors staying at the lodges. The removal of the Bibles created a furor when it was reported in the press. So much so, the Navy ordered the Gideon Bibles returned back into the lodge rooms. Make no mistake, Christianity is under attack here, not Judaism, Islam, or even witchcraft, and it appears to be a concerted effort. Some contend it is intended to undermine the country as Christianity played an important role in the founding of America. Whatever the reason, we must beware of such attacks and be prepared to repel them. 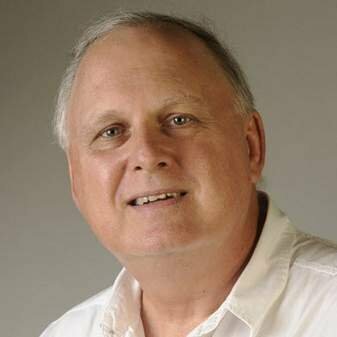 If by some chance, our opponents are successful in eradicating God in the federal government, I am one of those who believe all federal employees should work on Christmas Day, particularly postal workers. Is there really a separation of church and state in the Constitution? No, but it will be necessary to bring a lawsuit to the Supreme Court to overturn their 1947 misinterpretation. I pray we do not become a Godless country. Without God, the country will fall. P.S. – Even Sky Masterson read the Gideon Bible, as did Rocky Raccoon. NEXT UP: ASSUMING RESPONSIBILITY – Why should I pay for somebody else’s mistakes? LAST TIME: BECOMING AN EDUCATED VOTER – How to become conversant in politics and government. – A popular physicist poses an interesting theory to an old argument. Want to start an argument? Simply bring up the subject of either politics or religion. People tend to avoid both subjects as they do not want confrontation. Frankly, I do not believe we talk enough about either topic, particularly religion which explains why it is in decline, as well as our moral values. While conservatives tend to embrace the concept of a Supreme Deity, Liberals tend to dismiss it out of hand as they claim there is no proof God exists. 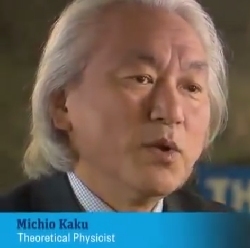 Interestingly, Michio Kaku, a popular theoretical physicist recently presented a new theory suggesting God indeed exists. Kaku is a respected scientist who is able to simplify complex arguments and present them in terms the public can understand. Not surprising, he is frequently interviewed on television to explain scientific phenomena. Interestingly, most people will remember him for his recent appearance in a TV commercial for TurboTax. Bottom-line, Kaku is saying there are too many elements in the universe that can be logically explained. So much so, it is unlikely it could have been created by accident, but by some form of intelligence instead. Those who believe in God always suspected as much, but to have an acclaimed physicist openly discuss this adds legitimacy to the argument of the existence of Deity. However, Kaku’s controversial comments are not without critics who argue his logic. Nonetheless, Kaku has managed to stir the pot in the scientific community and cause them to think. As for me, I was recently in Western North Carolina spending time fishing with some friends. As we sat on the porch of our cabin watching the sun set, we marveled at the beauty of the mountains, the smell of the air, the animals in the area, and the picturesque canopy of stars overhead. It was simply perfect, or as Kaku would explain, too perfect to be an accident. For a video of Kaku explaining his ideas, click HERE. Also published with News Talk Florida. Copyright © 2016 by Tim Bryce. All rights reserved. NEXT UP: THE CLINTON DIRTY TRICKS DEPARTMENT – What shenanigans will they pull before November? LAST TIME: THE 2016 PARTY CONVENTIONS – A windfall for the press. Listen to Tim on WZIG-FM (104.1) in Palm Harbor,FL; KIT-AM (1280) in Yakima, Washington “The Morning News” with hosts Dave Ettl & Lance Tormey (weekdays. 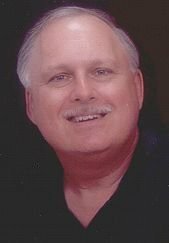 6:00-9:00am Pacific); and WWBA-AM (News Talk Florida 820). Or tune-in to Tim’s channel on YouTube. – Are American Jews being taken for granted by the Democratic Party? Throughout the 20th century and into the 21st, Jewish American voters gravitated to Democratic causes and candidates. This is probably due to the social programs they support. In the 2008 presidential election, 78% of Jews voted for Barack Obama and 68% in the 2012 elections. Historically, their passion has been liberal programs and support for the Israeli state. During last year’s Israeli-Gaza Strip conflict though, Jewish voters were not quick to support Israel and tended to align themselves with the Palestinians who, it was believed, suffered the most in the conflict. Hamas was simply no match for the Israeli Army who pummeled the Palestinians for rocket attacks. During the conflict, over 2,200 people were killed, mostly Palestinians during 50 days of violence. Well known Jewish American spokesmen and women were surprisingly mum in terms of their support for the Israelis, whereas Republicans soundly endorsed Israel. This represented a significant twist in support. Last March, when Israeli Prime Minister Benjamin Netanyahu spoke before a joint session of Congress, Democrats condemned the speech, including Jewish members, claiming it was political in intent, while Republicans supported it. There is little doubt there is a serious rift between Mr. Obama, a Democrat, and Mr. Netanyahu who often expresses conservative values. The relationship is essentially no different than what the President has with the Speaker of the House and the Majority Leader of the Senate. Whereas the Democratic Party historically embraced the Jewish vote, now it appears the tide is turning. It is no secret the Democrats have embraced minorities, such as Black, Asian, and Latino voters, but there seems to be a growing resentment against the Jews in the party. I’m not sure why, perhaps antisemitism is growing in this country, as in Europe. Frankly, I was thunderstruck by the comment. This is a well educated man who practices law, not to mention a Republican basher of the first order. The fact he would openly admit this caught me completely off guard. I had heard such comments emanating from Europe, but this was the first I had heard over here, and from a loyal Democrat no less, thereby causing me to think others in the party feel likewise. This also leads me to suspect a change is in the offing. 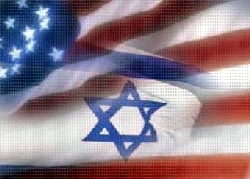 If it is true, Republicans are more loyal to Israeli causes, and Jewish bashing is beginning to occur in the Democratic party, is it possible Jewish Americans will abdicate the party they so proudly served for so many years? Maybe the elders of the Jewish community are beginning to re-think their party loyalty. The comment from my Democrat acquaintance may be an isolated incident, but it was so strong I cannot help but believe others like him support it. Nobody likes being taken for granted, particularly Jewish voters. I cannot help but believe a change is in the offing as we head into the 2016 elections. Copyright © 2015 by Tim Bryce. All rights reserved. NEXT UP: SHOPPING – A pastime or an obsession? LAST TIME: BASEBALL: THE LOVE OF THE GAME – It is a great game. Listen to Tim on WJTN-AM (News Talk 1240) “The Town Square” with host John Siggins (Mon, Wed, Fri, 12:30-3:00pm Eastern); WZIG-FM (104.1) in Palm Harbor,FL; and KIT-AM 1280 in Yakima, Washington “The Morning News” with hosts Dave Ettl & Lance Tormey (weekdays. 6:00-9:00am Pacific). Or tune-in to Tim’s channel on YouTube. – Does it really work? I have always marveled at the power of prayer. I see it as a sign of compassion, hope for the person in trouble as well as the family and friends who made the request. This says a lot about our humanity as a people. I am not sure if praying for divine intervention actually works but it comforts us to put our faith in a Supreme Being when situations run out of our control. Back when I was about to graduate from college in Ohio, my mother and father visited Sydney, Australia on a business trip. Following one of my father’s sales seminars there, the two of them got into the back seat of a taxi to return to their hotel. A storm was howling that evening, so much so, the cab driver had trouble seeing out the windshield. The streets were slippery and the cab, unfortunately, went out of control, aimed at a telephone poll. The driver leaped out of the cab moments before it crashed into the poll. My father jumped in front of my mother to cover her and drove the front seat under the engine. He was taken to a local hospital with all of his ribs broken and abrasions on his face from the broken windshield. A piece of glass settled next to his eye nearly blinding him. My mother called my brother with the news who, in turn, called me at school. Here I was, thousands of miles from the hospital, and feeling helpless to do anything. All I could do was turn to prayer. Fortunately, my father survived the crash. The glass was removed from his face and eye, and his ribs were bandaged. He was eventually sent home but experienced extreme discomfort for months afterwards due to his ribs. The scars slowly disappeared over time. The surgeons evidently did a good job as you could hardly tell he was ever in an accident. Interestingly, when he woke up in the hospital, the nurse tending to him wore an interesting name badge, “Bryce,” and sure enough, she was a relative. Frankly, I looked upon her as his guardian angel, the coincidence was simply too remarkable. This led us to discover a branch of our relatives in Australia who we had lost touch with following the first World War. Nonetheless, I would like to believe my prayers had been answered. Prayer can be comforting to both the person praying, the victim in question, and the family and friends. However, I have learned we cannot rely on it solely, that we must go beyond prayer if possible, and help a fellow human-being. Sometimes a simple visit with the person can work wonders, or perhaps providing a meal, running an errand, taking them to an appointment, mowing the lawn, or whatever. We used to do this naturally, but I am not sure people remember to be kind to each other anymore. I surely am not suggesting prayer should be confined to times of crisis. It is also a powerful way of expressing thanks, such as for health, well-being, and the bounties we enjoy. It can also be used as an expression of hope, such as for peace, and the safety of people and our country. Those who do not believe in the power of prayer are typically quick to cite the “separation of church and state” (something which is NOT described in the U.S. Constitution). Personal prayer may be banned from the classroom, but it certainly can be invoked on our own, at any time and any place. 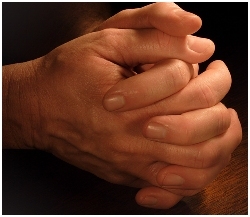 Prayers indeed have power, as many of my friends contend. It may not be foolproof, but I see nothing to suggest it is meaningless or subject to ridicule. Sometimes, it is all we’ve got. NEXT UP: ENGAGING YOUR WORKERS – How to inspire and motivate the work force. LAST TIME: DRIVING CIRCLES AROUND DISNEY – How a seemingly easy drive turned into a nightmare. – It is ultimately about good versus evil. 1. A person must lead a worthy and productive life. This is required for our perspective of ourselves, our work, and the people we come in contact with at the company and society in general. How we perform our job is an expression of our soul. If we treat it frivolously, our perspective tends to be shallow and irresponsible, but if we conduct ourselves professionally, regardless of the job, we will take pride in ourselves and earn the respect of others. We must recognize there is dignity in all forms of work, regardless of how menial it appears on the surface. As such, we should perform it as professionally as possible and as craftsmen. Those without this perspective, particularly managers, tend to be tyrannical in nature and are typically avoided. They will never know the simple concept of respect, just fear. However, if we “do unto others as we would have others do unto you,” this would inevitably lead to an honorable existence. 2. Our second responsibility is to reproduce, thereby extending the species. However, this requires more than just the simple biological function of birth, it also means taking responsibility for teaching your offspring values, morality, and how to become responsible and productive people who will eventually take your place in society. Abdicating this duty is to allow evil to flourish. 3. Leave the Earth a better place than when you entered it. By doing so, we make it possible for the species to evolve. This means not becoming a burden on society, lending a helping hand, and returning to our first responsibility. Unfortunately, there are those who would rather forsake and destroy the world as opposed to make it better. Implicit within these three elements is the idea of good triumphing over evil. Without this caveat, life could easily regress as opposed to progress which is why we must thwart evil wherever it is encountered. So, the meaning of life is not about eating, walking, or reading a good book. Rather, it is about leading a worthy and meaningful life. No, we will not all be compensated the same way. Some will make more based on their education, their work ethic, by making smart decisions along the way, or plain luck. Regardless, we should be more concerned with what our contribution will be in life as opposed to the financial prosperity of the next person. If we can rise each day and be proud of our family, our business, and ourselves, and celebrate the bounties of the world around us, then we have realized the meaning of life. NEXT UP: WHAT’S WRONG WITH SERVING THE CUSTOMER PROMPTLY? – The customer should never have to wait. LAST TIME: THE BUDGET BATTLE – Just how badly do we want to manage the budget? 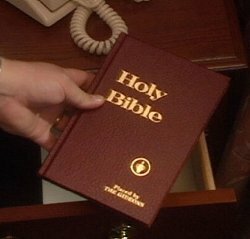 The latest attack on God is found in the US Navy where atheists started a movement to remove Gideon Bibles from Navy lodges. These Bibles were provided for the comfort of sailors staying at the lodges. The removal of the Bibles created a furor when it was reported in the press. So much so, the Navy ordered the Gideon Bibles returned back into the lodge rooms. NEXT UP: POLITICAL STREET SIGNS – Eyesores or useful tools for candidates? LAST TIME: THE HARSH REALITY OF THE WAR ON TERROR – It’s not going away any time soon. HOW ARE WE EVOLVING AS A SPECIES? – And what role does morality play? We like to believe America is still the greatest society ever devised by man; better than ancient Greece, Persia, Rome, Britannia, or whatever, but if you study the news you have to wonder if we are truly any different than our predecessors. The technology of today allows us to communicate faster, express our creativity, and perform research more rapidly thereby enabling us to feed and heal more people. We are very proud of our technology, just as our ancient forefathers were of theirs. Our socialization skills and sense of ourselves are expressed through our speech, fashion, and customs. Such things always suit the decorum of the times. Impetuous youth has always challenged the wisdom and ways of their elders, while the latter grows impatient for the former to mature and take their rightful place in society. Such things remain constant. It is our actions which ultimately defines our civilization. 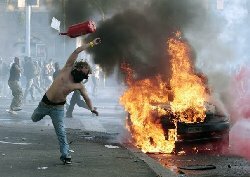 The actions of the Occupy Wall Street movement, for example, are essentially no different than those found in the “Hoovervilles” created nearly 100 years ago where people camped out to protest socioeconomic conditions. The Yippies of the 1960’s were also similar in intent. Charlatans still wrong, cheat and defraud others, but now at record levels, such as Bernie Madoff’s infamous Ponzi scheme which fleeced investors of billions of dollars. People are still bludgeoned and defiled without remorse. Throughout the world, we still allow countries to practice genocide and other atrocities even though we thought World War II marked the end of such barbaric behavior. Now, with today’s high tech weapons, we can kill more efficiently and at a higher volume. Corruption is still accepted, both in government and the private sector. No, not too much has really changed over the years. I honestly do not see how man has progressed over the millenias other than to live longer, propagate more actively, and consume more resources. After thousands of years of development, you would think we would be a little smarter, but I am at a loss as to how to prove it. We long for Utopia, but it doesn’t exist, nor do I believe it ever will at the rate we are going. 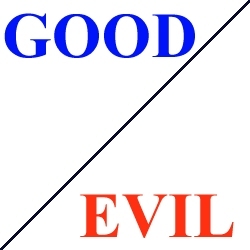 I have always been of the opinion that both God and the Devil are very much alive and well, and that mankind is the embodiment of both residing within one home, the human spirit, thereby defining our values and perceptions through our sense of right and wrong (good versus evil). This, in turn, defines the path we follow through life. As much as we would like to believe good always triumphs over evil, there is no evidence to show this to be true, other than we haven’t killed off mankind yet. It is our sense of morality which dictates how we evolve as a species. If we permit evil to get the upper hand, our species will continue to degenerate, but if we keep it in check, we prosper. I tend to believe morality is learned behavior from our parents and family, friends, school, our places of worship, the media, and the workplace. In the past, these institutions taught such things as being responsible for one’s own actions (accountability), to work hard and strive to prosper, the benefits of cooperation, treating others as you would have others treat you, and cause and effect (the consequences of crime and punishment). Such concepts shape our perceptions and personal belief system. However, if these lessons are being taught inconsistently or erroneously, the individual will misinterpret morality and act accordingly, right or wrong. We may spend considerable time discussing literature, math, and science, but not nearly enough discussing morality, particularly with our offspring who represents our future. Not surprising, such things as greed, deceit, and laziness have crept into the fabric of our society. Today, abusing government programs for personal gain is considered an acceptable form of behavior, it’s even encouraged, as is undermining our neighbors and colleagues for the purposes of petty power and control, and devising a dependence on others to support ourselves. What is considered moral today, would hardly be considered such not long ago. A bankruptcy was considered scandalous and a disgrace, as was a divorce, or being arrested. Now, failure seems to be openly embraced and admired while success and following principles are lampooned. Interestingly, the country is now divided into two ideological extremes, left and right, both possessing distinctly different interpretations of what is right and what is wrong. Years ago, organized religion was the moral compass of the country. People from all walks of life openly called on Deity especially in perilous times, including the President of the United States. Now, due to political correctness, people tiptoe around the subject and consider the discussion of religion in any form a taboo. No wonder Christianity and Judaism is now in retreat. Next time you see a barbaric atrocity of some kind on television, be it a mass murder, a child molested, a government releasing hell on its own citizens, or a simple injustice, ask yourself why we tolerate and permit such actions to occur. Better yet, ask yourself, are we really any better than our predecessors? Tebow is from Florida where interstate sports rivalries are legendary, particularly between Miami, FSU, and the University of Florida (UF) which is where he went to school. While at UF, he somehow managed to bedevil the other Florida teams and in the process earned a Heisman Trophy and help win a couple of National Championships. He didn’t do it with swagger either but as a team leader who was known to be rather pious in his religious beliefs. His personage and track record resulted in the scorn and envy of his opponents. Frankly, he seemed “too good to be true” and became the man you loved to hate if you were not on his side. Such anger has carried forward with him to the NFL where he has more than his share of detractors, some even going so far as to call him an “Anti-Christ” for his praying on the sidelines. I can think of a lot of reasons for hating an opponent, but praying shouldn’t be one of them. 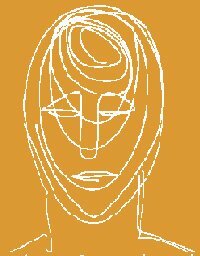 Some resent him because he appears to be more spiritually connected to his Lord than others, a characteristic that seems to give him an edge. Others openly mock his spirituality. Frankly, I don’t have a problem with it, nor do a lot of football fans who can relate to his beliefs. More than anything, I think Tebow’s praying on the sidelines is considered a violation of political correctness. Christianity has been in retreat in this country over the last few decades. Thanks to a long line of litigation, we are now overtly conscious of the separation of church and state. The PC police, as embodied by the media and government, have worked overtime to shun religion, even going so far as to poke fun at anyone who openly proclaims their allegiance to Jesus Christ. Heck, we don’t even say “Merry Christmas” anymore out of fear of antagonizing someone. So, along comes Tim Tebow, a well recognized athlete who openly embraces his Christian faith. Such religious athletes who gain notoriety, not just for their athletic abilities but their spirituality, are few and far between. Tebow is a modern day Eric Liddell, the “Flying Scotsman,” a devout Christian Olympian who in 1924 refused to run in a heat on a Sunday (the Christian Sabbath) and thereby withdrew from a 100-metres race, his best event (as depicted in the 1981 film “Chariots of Fire”). Although some were upset Liddell refused to run, many more applauded his adherance to his religious beliefs. Tebow begs the question, where do we find our strength to compete? Some find it in conviction of character and experience, others find it in vicious competition where you must win at all costs, even if it means cheating. For people like Tebow and Liddell, it is in their Christian beliefs which promotes morality. Maybe therein rests the problem, that people are not willing to accept fair gamesmanship and honest competition anymore. Fortunately, there are some people who believe in such archaic concepts. 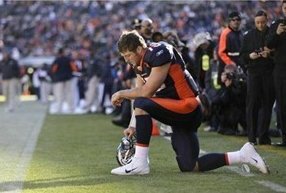 If Tebow can find strength on the sidelines by quietly praying to the Lord, I will not fault him or hold him in contempt. I may actually admire him instead.